The bald eagle is often associated with the United States. As the official emblem of the federal government, many people see an eagle and associate it immediately with the US. Bald eagles soar through the skies across North America, including the wide open spaces of Canada. 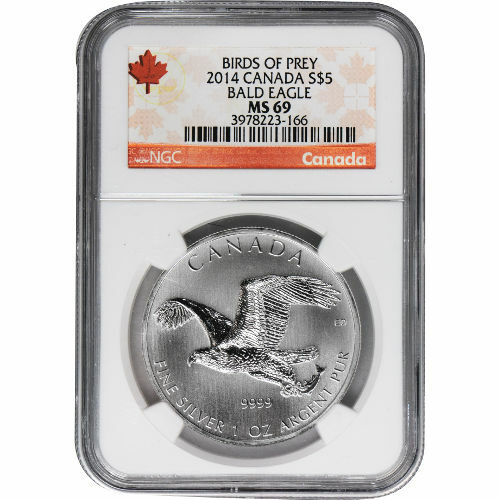 The Royal Canadian Mint introduced the bald eagle on its Birds of Prey Series, and you can now purchase a 2014 1 oz Silver Canadian Bald Eagle Coin with a MS69 grade from the Numismatic Guaranty Corporation. Carries a $5 CAD face value backed by the Canadian government. Graded a perfect MS69 by the NGC. 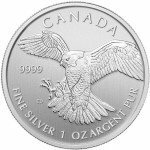 Canada’s Birds of Prey coin series pays homage to a number of majestic creatures found in the Canadian wilderness. None of those birds is more impressive or powerful than the bald eagle. 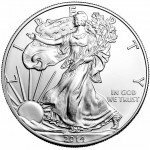 On one side of the coin is the image of a swooping bald eagle, while the other side bears the standard image of Queen Elizabeth II. Claudio D’Angelo created the bald eagle imagery used on this coin, while Susana Blunt is the artist behind the right-profile portrait of Her Majesty. 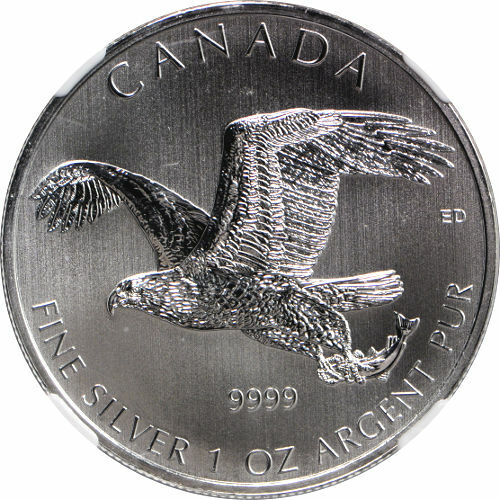 On the reverse side of the 2014 1 oz Silver Canadian Bald Eagle coin is the image of a swooping eagle with its wings outstretched. Behind it, a massive mountain rises up in the background and a river drifts off into the distance. 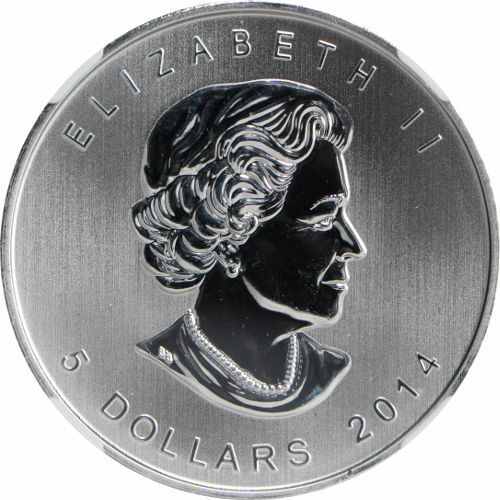 Engravings include “Canada 2014” above, and the face value of the coin below. 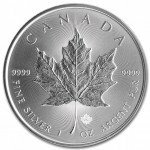 The Royal Canadian Mint is one of the most respected minting facilities in the world. Originally founded to process gold from the Yukon Territories in 1908, today it is an innovative leader in the design and production of high quality gold and silver bullion products. 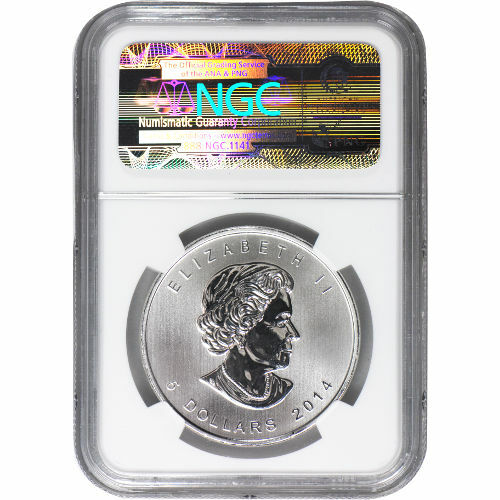 These 2014 1 oz Silver Canadian Bald Eagle coins have been graded MS69 by the NGC. This means each coin has an attractive strike, and fewer than two blemishes on ts face. 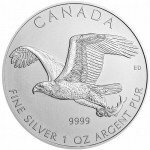 If you have any questions about the 2014 1 oz Silver Canadian Bald Eagle Coins or other Silver.com products, don’t hesitate to contact our associates toll-free at 888-989-7223. You can also reach one of our representatives on the web using our live chat feature.